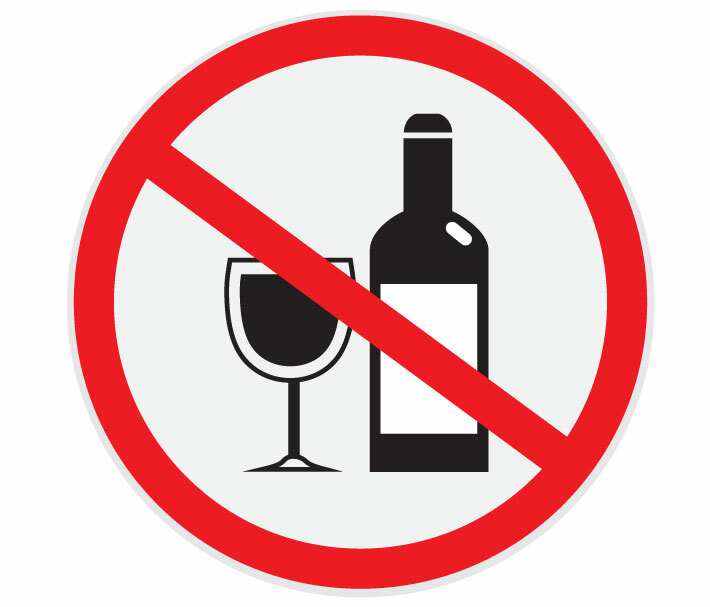 Alcohol is a NO NO! The holidays are just around the corner and for many of us that means family gatherings and many times those gatherings include alcohol. If the host allows we all love to bring our dogs along. Now, I know you personally may not give your pets alcohol but drunk uncle Phil might behind your back. I’m going to give you a tip on how to keep your pets safe during those drunken nights but first let me tell you what alcohol actually does to your pets… Our pets’ systems dont exactly work like ours. When we humans swallow alcohol it goes into our stomach and then the small intestine where 80% of it is absorbed and then blood vessels carry it into the blood stream. The alcohol is metabolized by the liver and broken down by enzymes. In our pets’ bodies it goes more like this – dog or cat swallows beer, it travels to the stomach where a very small amount of the alcohol is absorbed, is carried to the very tiny liver that cannot metabolize alcohol and then it goes into the blood stream. You may as well put alcohol in a syringe and inject it into their veins. When your dog or cat drinks alcohol it quickly starts to depress the central nervous system, damage the very small liver not equipped to metabolize alcohol, it could make their blood too acidic causing cardiac arrest, it drops their blood sugar causing seizures and brain damage. For some reason drunk people think drunk animals are funny. What they dont realize is that the liquor they are giving them “for fun” could very well kill the animal that very same night. It’s quite sad. So if you have a party at your house or take your dog to a friend’s party try this easy trick to drive away drunk uncle Phil – Get your pet a bandana, or doggy/kitty shirt or even one of your shirts cut to size and write a note on it with marker. Have it say “Please dont give me alcohol, I want to live to see tomorrow!” or “Don’t feed me, I have a sensitive tummy” or “Ask my owner permission before giving me anything” or “I have allergies, dont give me food or drink” or be silly with it and write “Please dont give me liquor, i’m the designated driver”. I’m sure you can come up with something creative to save your pets! A monthly subscription for holistic minded humans and their spoiled dogs!